Heathrow Airport was among the groups buying domain names on Sedo this past week. Heathrow Airport bought a domain name related to its expansion. This week’s top public sale at Sedo was Netlife.com for $75,000. Although the buyer is not yet known, I’m putting my money on a Norwegian company called Netlife Research. An augmented reality company also made a sizeable purchase, and Heathrow Airport bought a domain for its airport expansion. MyXR.com $17,000 – The domain has Whois privacy and a landing page that says “Augmenting Soon”. In this case, XR probably stands for Extended Reality, which includes Augmented Reality. Thermatec.com $7,500 – Thermatec Instrumentation & Controls Inc is an industrial equipment company. MaxxLife.com $6,400 – Marketing company Complete Spectrum, Inc. bought this domain name. It might be for a client. Wefix.co.uk €5,000 – Ridown Ltd is a business incubator. Right now the domain forwards to a simple page that says “We Fix”. MadeInTheStates.com $5,000 – Content marketing/influencer marketing company Issue Inc. They might use it for a campaign about products made in the U.S.
Omnicura.com $4,025 – Omnicura Clinics is coming soon, but we know little more than that. Crypto.pro $3,500 – The site has already been put to use as a cryptocurrency forum. Corka.com €3,500 – A1 Rubber manufactures a flooring surface called Corka. 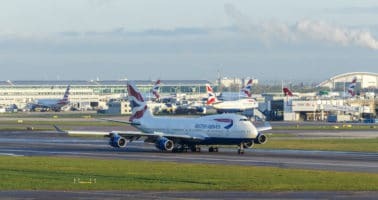 HeathrowExpansion.com £2,000 – Last week I reported the sale of HeathrowExpansion.co.uk to a UK web design company. It turns out it bought the domain on behalf of the Heathrow Airport. Now the airport has purchased the matching .com. Evollove.com $2,000 – Evollove Group Limited in Hong Kong is a wedding, floral and exhibition planning company.